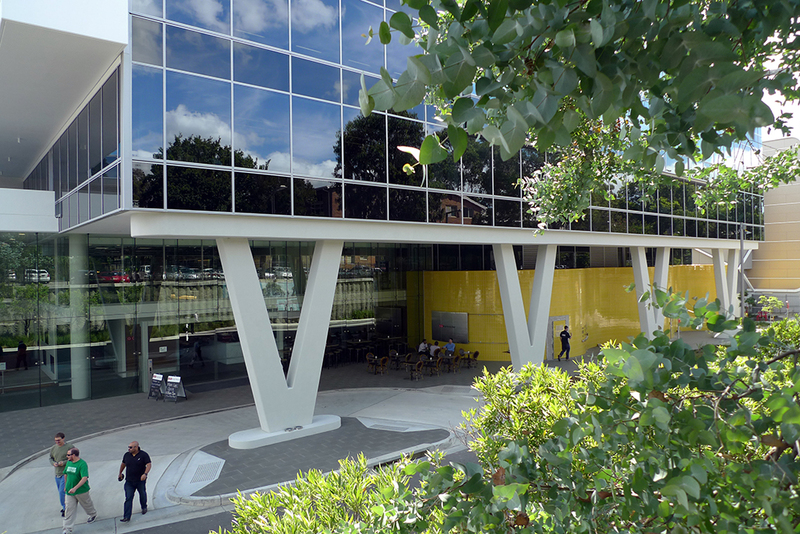 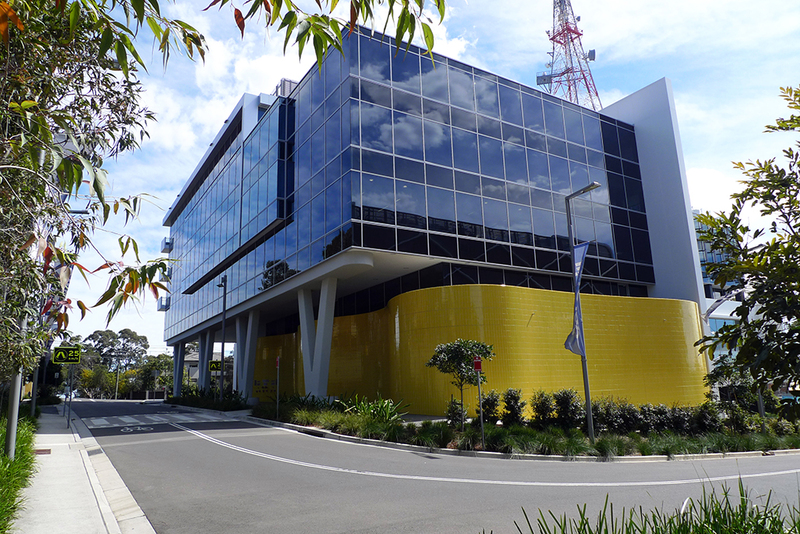 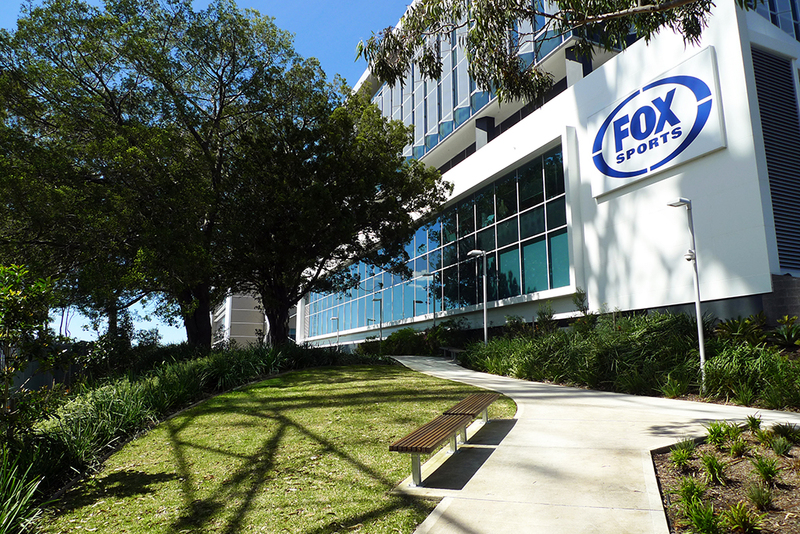 The new Fox Sports office and production building is the second major building to be completed within Gore Hill Technology Park by Lindsay Bennelong Developments. 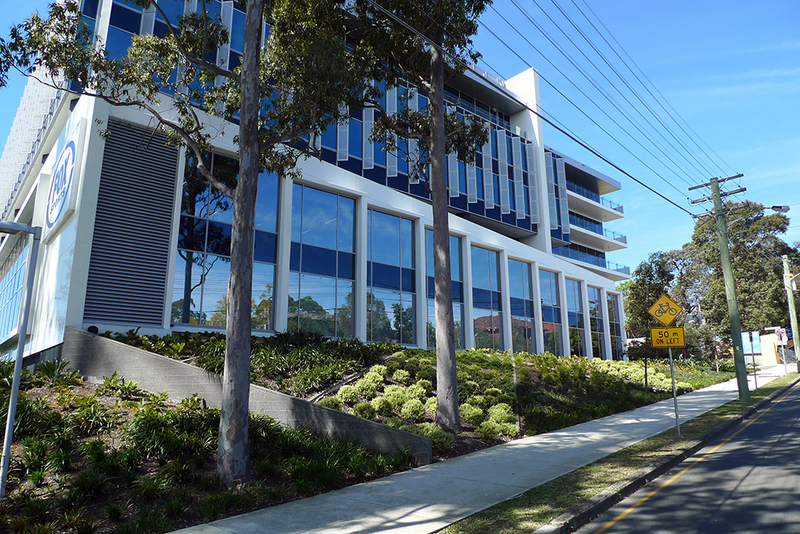 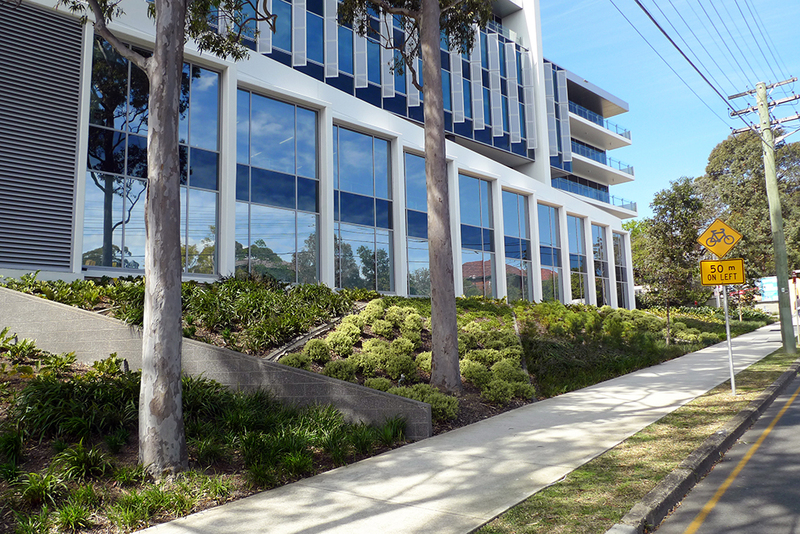 The recently completed complex designed by Leffler Simes Architects benefits from two frontages to Broadcast Way and new frontages to the new Central Park and to the Pacific Highway. 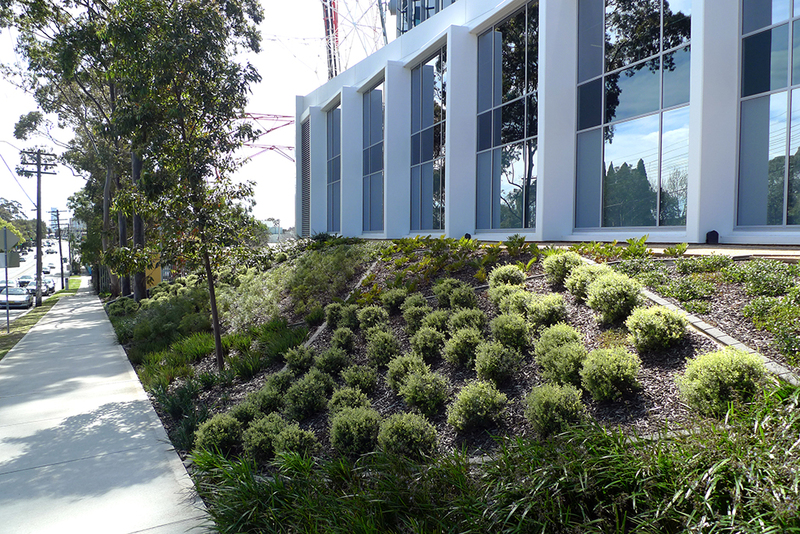 The Pacific Highway frontage features bold intersecting masonry banding to the massed planted landscape setback and to a level terrace paved in contrasting decomposed granite gravel panels. 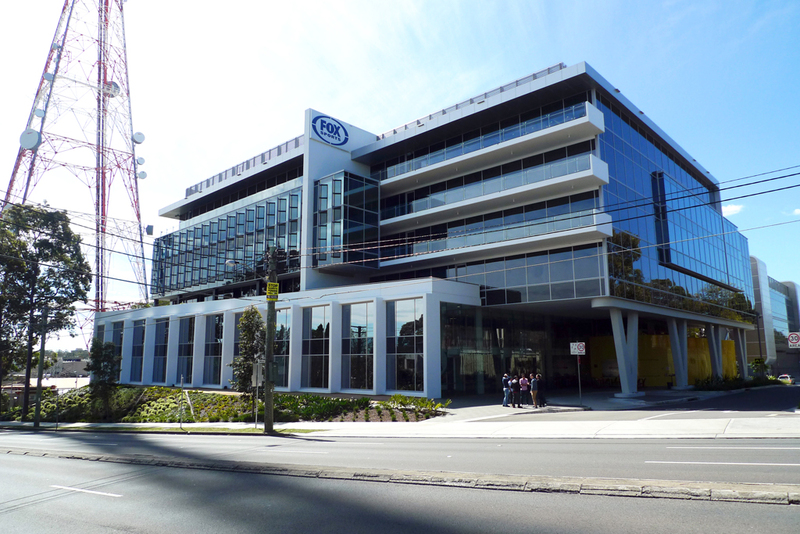 The main frontage is intended to define the new building as a major contemporary landmark on the Pacific Highway between St Leonards and Chatswood.